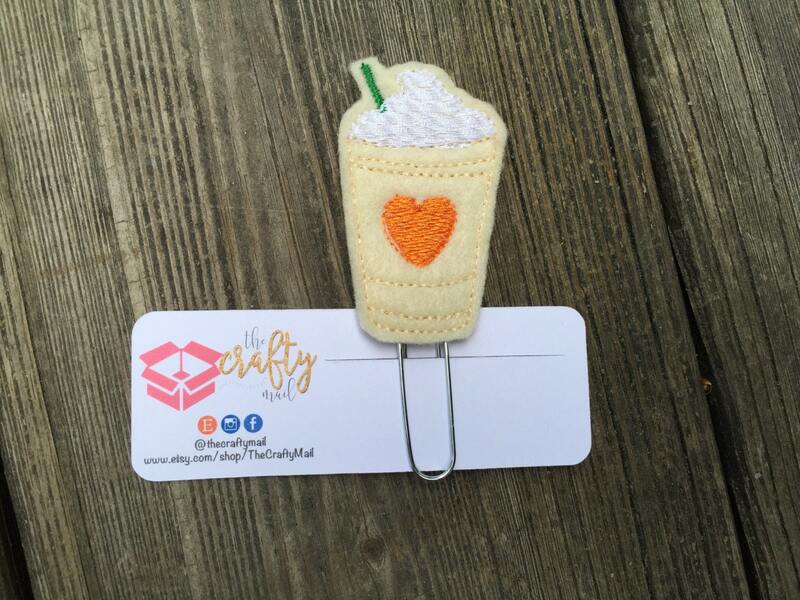 Large paper clip with pumpkin spice frappucino embellishment. Love my Pumpkin Spice Clip!!! And the freebies...WOW!!! Awesome seller-great communication!